A Boystown resident’s report of “suspicious men” pulling on door handles Sunday morning led to two arrests, including one man who was allegedly wanted for armed robbery with a handgun. Officers responded to the 500 block of Cornelia around 8:30 that morning and immediately engaged two men in a foot chase. One was quickly taken into custody at 3510 Pine Grove. A search was conducted for the second man, who was eventually found under a porch at 3534 Pine Grove. Other officers recovered allegedly-stolen property including a camera, Ray Ban sunglasses, cell phone cords, and an orange bag containing $17.90 cash in a nearby lawn. Deonte Hill, 18, is charged with burglary and obstructing identification. He’s held on $50,000 bond. Leon Holton, 18, is also charged with burglary in Sunday’s incident. 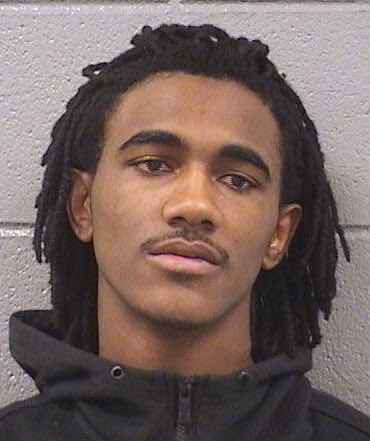 While being processed, court records say, police learned that he was wanted for investigation in connection with an armed robbery with a handgun that took place on the South Side in June. According to court filings, Holton, a “self admitted Gangster Disciple” was identified in a photo array this week and robbery with a firearm charges have been filed. Holton lives in the 2000 block of S. Clark Street. His mugshot and bail information were not immediately available.